Tower 2 is a $300 million Walker Corporation’s landmark project which is located at Collins Square, 727 Collins Street in Melbourne’s CBD. The building comprising a 38-storey office tower and marks the second building that has been constructed in the development. The development is environmentally sustainable and has received a 5 Star Green Star Design and is targeting an As Built v3 Rating as well as a NABERS Energy 2 Star rating. Walker Corporation has built Collins Square to be able to meet the ever-changing needs of Melbourne Business. 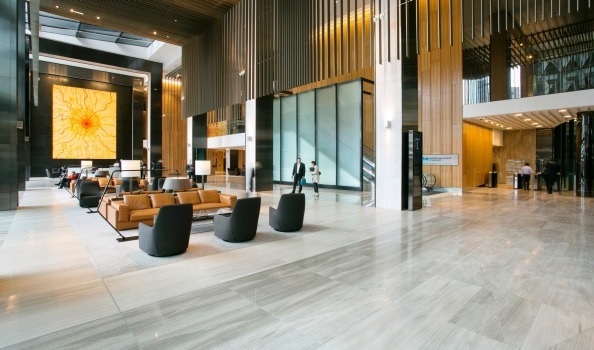 Working with DESA the Electrical Contractor and Baseline Furniture Group, CMS supplied its Quick-flex structured cabling solutions for the buildings intelligent lighting solution with Titan floorbox to provide access to power from the floor. Products such as Power rails and Executive Table boxes were used to deliver compact and concealed power, data & AV needs throughout the building’s premises.